111 W. STATE STREET, KENNETT SQUARE, PENN. 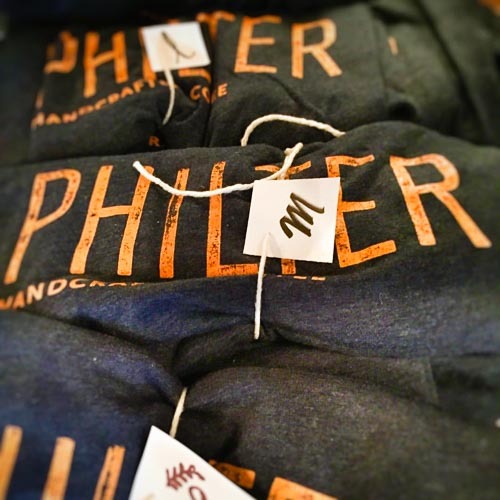 Philter is owned by Chris and Heather Thompson. The couple met in 2006 while living in Philadelphia. Chris was a barista, working on a plan to someday own his own shop and Heather, a teacher, was a regular, using the cafe to grade papers. Flash forward to present day- Heather is still teaching, Chris operates Philter, and together they are raising three boys in the borough of Kennett Square, PA. 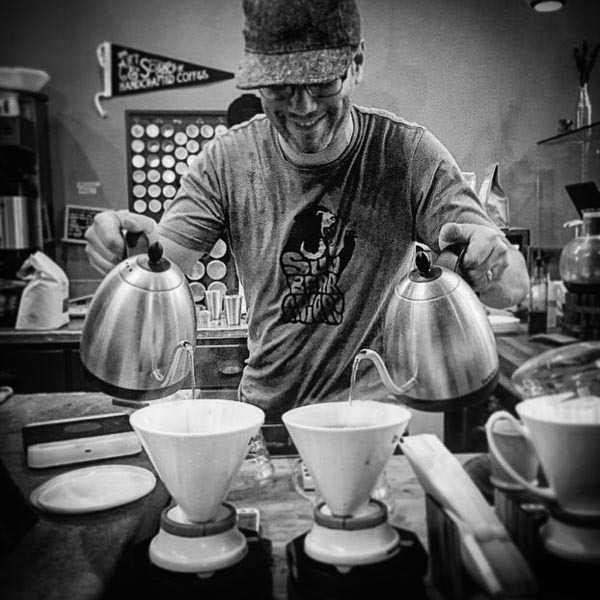 Established in December of 2013, Philter works closely with Ceremony Coffee Roasters to offer a menu of seasonal specialty coffees. Batch and manual brewed filter coffees are all carefully selected, roasted, and brewed to highlight the specific beans flavor characteristics. The espresso program is traditional yet exciting, with seasonal signature drinks & single origin espressos available via the EK 43. Philter also offers a single estate tea menu curated by Kennett’s local tea shop, Mrs. Robinson’s. 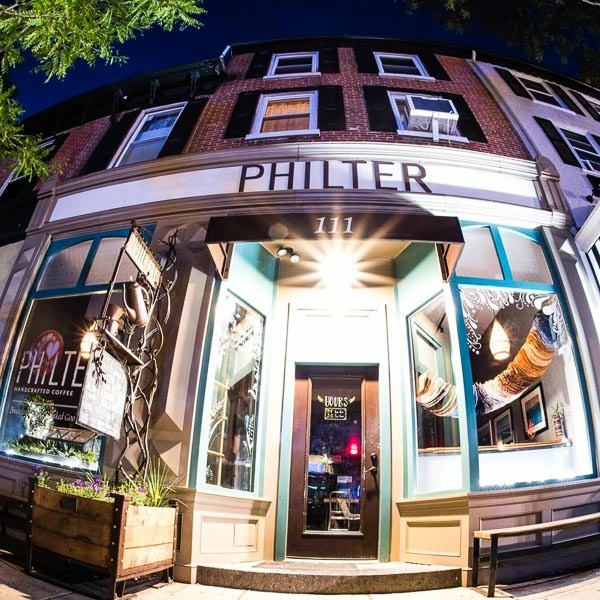 Philter offers a nice selection of pastries, breakfast, and lunch. 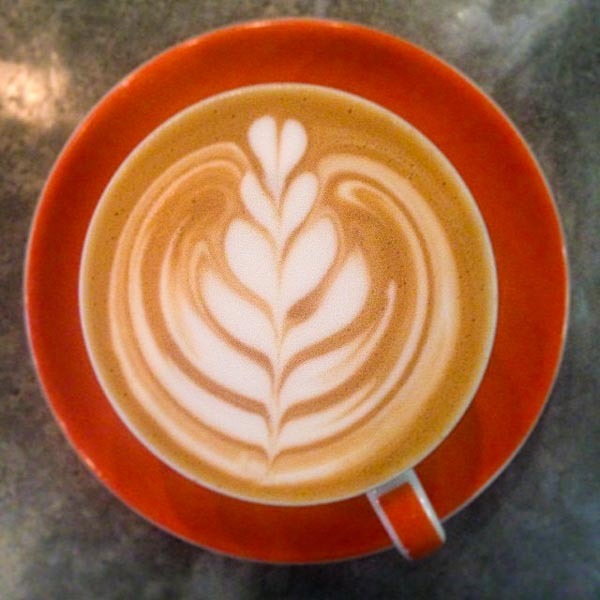 The food menu at Philter is treated with the same passion for quality as the coffee, with fresh-made everything, always. SERVED ON CHOICE OF: Multigrain or sourdough toast, bagel (ask for availability), croissant (add $.50) or skip the bread and have it over salad greens.